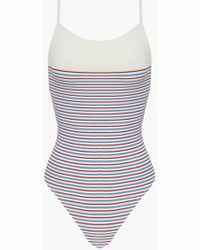 If the Solid & Striped Chelsea swimsuit looks familiar, that’s because you’ve seen it all over your Instagram feed. 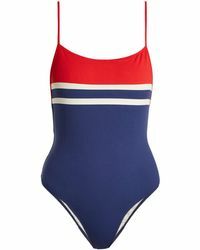 Thanks to the likes of Gigi Hadid and Taylor Swift, striped one-pieces are at the top of everyone’s vacation wish list, and the label’s version is a flattering option thanks to its low back, high legs and skinny spaghetti straps. 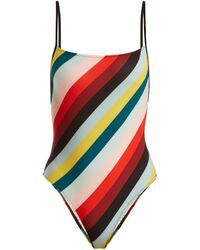 Coming in every color imaginable, choose from striped or brightly colored designs to cause serious Instagram envy on your next beach trip.